Anyone who has been following me for any time will have often heard me say: Your Network is Your Net-worth. What this means is that it’s not what you know that is most important to your career development, but who you know. In other words, it’s not only what you know that will create your success, but who you know. The people in your network, therefore, are extremely valuable to you. The quality of those people – their reputation and profile, their experience, their wisdom, their reach into the wider community and who they know that they can introduce you to – is a measure of your net-worth. But it’s not just your external networks that are important. 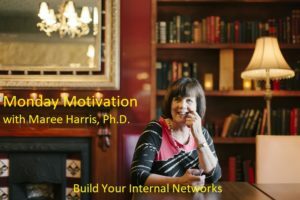 Building your internal network is also very important, in other words, those people within your organisation who have the power to help you develop and grow your career. Monday Motivation, August 27, 2018 – What are Your Negotiables and Non-Negotiables? Eckhardt Tolle said that “stress is being ‘here’ while wanting to be ‘there'”. One of the most helpful ways you can reduce that stress is becoming clear about what your negotiables and non-negotiables are in your lives. What is so important to you professionally and personally that you are not prepared to compromise on it, no matter what? What aspects of your life would you be prepared to compromise on to reduce your stress and those of your team? Having negotiables and non-negotiables takes an enormous amount of stress out of our lives. They give focus and clarity to how and where you spend your time. So my motivational challenge for this week is to get your negotiables and non-negotiables clear and then start living them out in your professional and personal life. Monday Motivation, August 20, 2018 – Get Out of Your Comfort Zone. It is only when you get out of your comfort zone that you discover talents you never knew you had. I have lost count of the number of people I have coached or mentored who knew it was time for a change in their career or professional life but just haven’t been able to make the move. They are comfortable where they are. They are well-regarded, respected and have been told they are a valuable member of the team. As well, they have a supportive family, a beautiful house and a great circle of friends. They ask themselves every time these restless feelings have emerged in the last few years why they would want to risk all that. Why would they do anything else or go anywhere else? Joseph Campbell said: “We must be willing to get rid of the life we’ve planned so as to have the life that is waiting for us”. The best investment you can make in these uncertain and unpredictable economic times, is to invest in yourself because that provides you with the greatest security for your long term future. We tend to think that financial security is the best investment but my motivational challenge this week is to think deeply about this question – What Really Makes You Feel Most Secure? Do an audit on how much time, energy and money you spend investing in yourself? Monday Motivation August 6, 2018 – Find The Bigger YES Inside You. It’s easy to say NO when you have a bigger YES inside you. How many times have you agreed to do something you were asked to do and almost immediately regretted it? You don’t have time to do it. You are already stressed thinking about how you are going to fit it in. You don’t even want to do it. It’s not even something you really care about. It certainly isn’t something that is high on your priority list. My motivational challenge for this week is to find the bigger YES inside you. How To Maintain the Momentum After A Training Program. It doesn’t matter whether it is a day training program, a two day conference, a coaching or mentoring experience or an online course, many people find it very challenging to maintain the momentum. You leave the program feeling energised and then…. One expert has made the observation that 15% will leave the experience feeling they gained nothing from it. 85% will leave feeling it was valuable and will be highly motivated to use what they have learned to improve their professional work. After a month 70% of those will have been sucked back into doing things the way they did them before the training. Only 15% will actually translate what they learned into action and implement changes in their professional lives and accelerate their careers in the process. So what do those 15% do differently to maintain the momentum? When I started “coaching” back in 1994, I didn’t have an answer to this question. While 20 plus years have passed I think there are people out there still who wonder what the answer to that question is. That’s why I wanted to address this in Part 2 of my series of blogs on coaching. Coaching is first and foremost a relationship between you and your coach. It is highly personal, highly confidential and calls for mutual trust. The desired result is that you will grow professionally and personally. 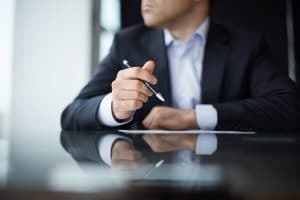 It is all these characteristics and the fact that coaching is very immediate – it discusses what you faced and grappled with that morning – that gives it an edge as a learning and development experience. But it is more than that so read on. How Do You Find The Right Coach For You? Are you one of those people like a highly motivated colleague of mine, Margo, who has been through a number of coaches, spending considerable amounts of money, looking for the coach that is right for her? In fact, Margo isn’t my colleague’s real name. While she was willing for me to tell her story she didn’t want to be identifiable by any of the three coaches she saw before she found the right one. She didn’t want them to feel devalued by what she told me. They were committed and attentive to her, but they found it difficult to understand and provide what she wanted from the coaching. She had difficulty connecting with them. She is not criticising them for that. She knows other people who see these coaches and are happy with them. They were just not the right coach for her, but in spite of trying three times she was disillusioned when she couldn’t find the right one for her. This blog series will focus the search for you.